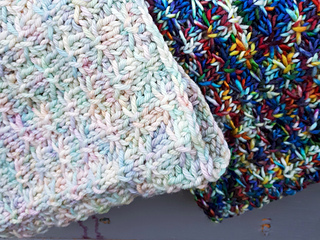 This pattern is simple to follow and relies on the complexity of the variegation in the yarn to create prismatic knitted fabric. It does not involve complicated stitch work, although the look of the fabric can imply otherwise. 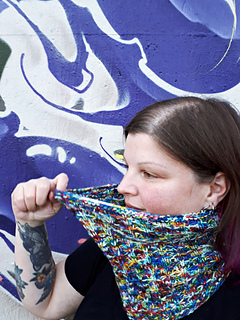 The pattern is dynamic and can be followed to make a scarf or cowl. 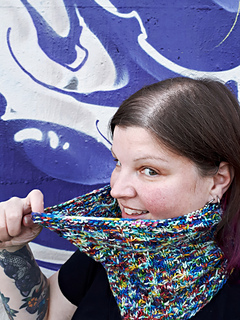 One hank of JOMA Yarn Mashmellow Rino is required for the cowl or scarf. For a longer or wider scarf than pictured, use 2 hanks.